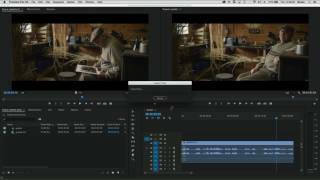 There is new stuff added to get a pretty nice Adobe Premiere Pro workflow. If you have the need for subtitles you will probably find that it's not very practical to do the translation in your NLE's title generator. Almost no NLE gives you the option to playback your show and type at the same time. SubBits subtitler does. This professional subtitle software is developed in close cooperation with professional translators and has all the handy tools you need to make a translation for titles and output to the format of choice. You can even work on a simple office machine, freeing up your precious edit suite. There is not enough space here to really cover everything. Just download it and read the manual, or even better, toy with it! Subbits is Unicode aware, and supports all left to right languages. Do note, for some languages you have to switch the display font to a font that supports your language. Brian Hoffman (product manager for DVD Studio Pro) was very impressed. Added a new workflow for Adobe Premiere, you now can have easy editable subtitles on your Premiere timeline. Framestep left / right with short playback audio for fast accurate finding of in/outpoints. In the early days of DVD studio Pro we had to do some simple subtitling. The tool that came with DVD SP was so crappy that we needed something else. As it did accept text as input we've made a very simple utility that could convert the Quicktime time to proper formatted Tc, and combine that with a simple text editor. Over the years when DVD became a large part of our daily work we kept on developing it, added functionality, support for open captions etc. At a certain stage we came into contact with a professional translator who helped us improving it to what we think is the fastest subtitle prep application available. This software might use code of FFmpeg, licensed under the LGPLv2.1 and its source can be downloaded here, and is included with the download.